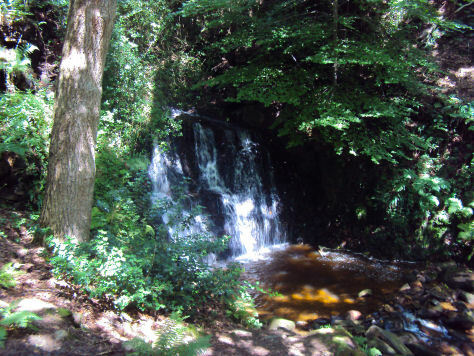 The waterfall at Tiger's Clough is situated on the River Douglas in an attractive, shady ravine on the Knollshaw Estate near the village of Rivington. 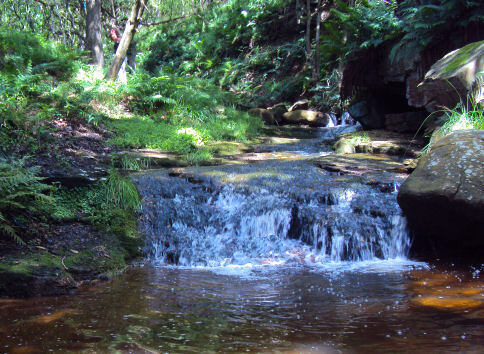 Though not a large waterfall, it is situated in a picturesque location in a rocky, wooded ravine. 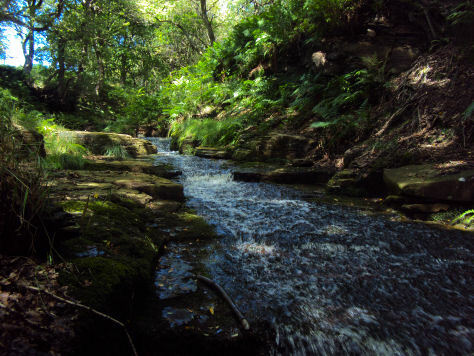 The Tiger's Clough ravine, a local beauty spot, once known as Shaw's Clough, was formed by the action of a glacier at the end of the last ice age. A prehistoric tool was discovered at the clough in 1946 by a Mr Southworth, a local man, whilst on a stroll through Tigers Clough, he collected a six inch long stone, shaped in to an axe head, from the bed of a river, the stone was shaped into an axe head. The find was examined in 1962 and realised to be a Neolithic artefact dating from circa 2500BC. The axe head is now on display at Bolton Museum. The clough is believed to derive its name from an illegal drinking establishment that once occupied a site near to the Knoll Bleach Works in the nineteenth century, which had two tigers displayed on a sign outside. The exact location of The Tigers has been lost, but there is a convincing location just downstream of the old bleach works where stone rubble can still be seen. 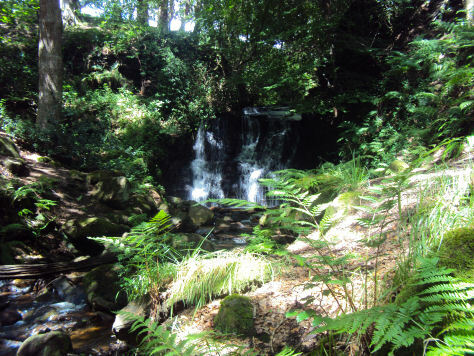 There are several other, smaller waterfalls and a footpath winds through the wood. *Commencing at the car park which lies just past Rivington and Blackrod High School at Rivington Country Park, turn right on exiting the car park and walk a short distance along the road until reaching a rough road just after the school tennis courts on your left. *Continue uphill along this road, until passing a small quarry on your left. Just after the quarry take the stile on the right. 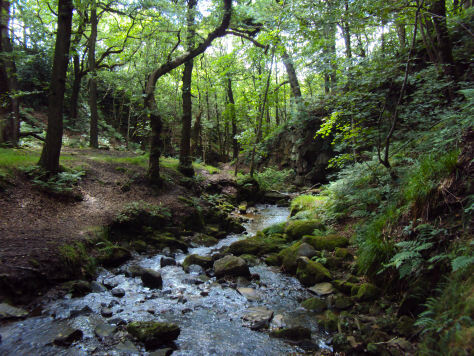 *Descend through woodland until reaching the Devil's Steps at the bottom of which is a bridge over the infant River Douglas. At the top of the steps turn left along the track which follows the course of the River to reach the waterfalls. *Continue along the track until exiting the woodland for some fine views over Rivington Pike. *Retrace your steps to return to the car park.